Headspace is mainly known as a massively popular guided meditation app. However, the product family also includes multiple books on mindfulness and meditation. This Headspace book review is about the first Headspace book, “The Headspace Guide to Meditation and Mindfulness“. Before reading the book, I had used the Headspace app for a year. I’ve also used a few other mindfulness apps and read other books on mindfulness and meditation. 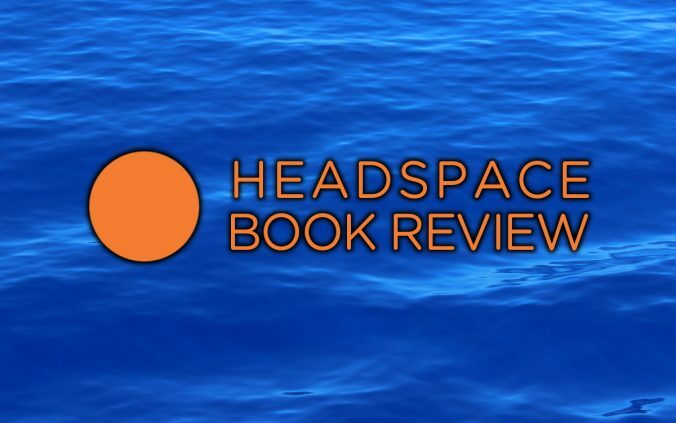 Therefore I was able to compare “The Headspace Guide to Meditation and Mindfulness” to other similar products while writing this Headspace book review. “The Headspace Guide to Meditation & Mindfulness” was originally released as “Get Some Headspace” in 2011. Despite the re-branding, the Kindle e-book remains unchanged. How Is the Headspace Book Connected to the Headspace App? “The Headspace Guide to Meditation and Mindfulness” is written by Andy Puddicombe, the co-founder and public face of Headspace. The book has a slightly complicated relationship with the Headspace meditation app. The Headspace book was originally released as “Get Some Headspace” in 2011 – a year before the mobile application. After the success of the mobile app, “Get Some Headspace” was re-branded and re-released as “The Headspace Guide to Meditation and Mindfulness” in 2016. Despite the new (and incredibly long) title, the content of the Headspace book has remained the same. 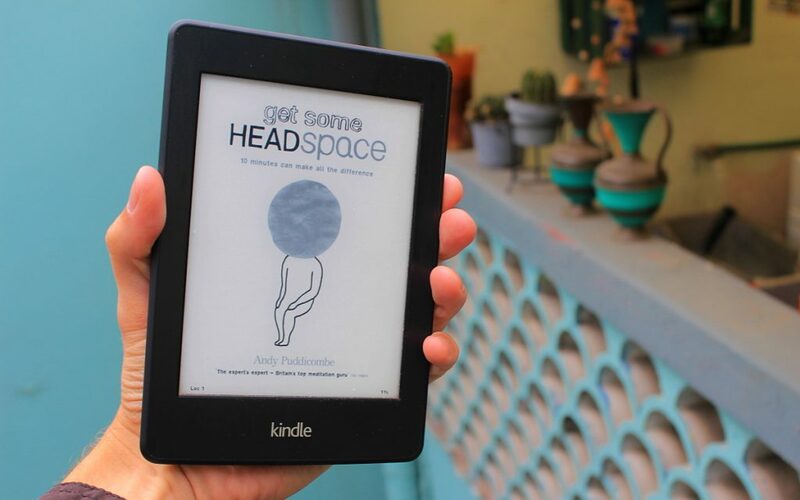 In fact, the Kindle e-book I bought is completely identical to the old “Get Some Headspace” edition. Even cover of the e-book is still the same. For my review of the Headspace app, see “Headspace Meditation App Review (One Year of Daily Use)”. What is the Headspace Book All About? Headspace was co-founded by Andy Puddicombe, a former Buddhist monk who’s also the public face of the Headspace company. The idea of Headspace is to offer secular mindfulness practice for everybody. The Headspace techniques are taught in an easily approachable way. The Headspace meditation sessions are relatively short – usually around 10 minutes. However, the idea of Headspace is to carry certain presence and awareness – mindfulness – throughout the day. The Headspace book teaches several meditation techniques and explains the ideas behind them. The book also teaches ways to remain mindful throughout the day. In my Headspace app review, I criticized how Headspace recently removed videos of the Headspace co-founder Andy Puddicombe from the app. In the new Headspace app released in 2017, these video clips have been replaced with more animations and text-based instructions. I felt like the clips made me feel a personal connection to my teacher, so I felt sad about their removal. The Headspace app may feel more impersonal than before, but that’s not the case with “The Headspace Guide to Meditation and Mindfulness”. The Headspace book is written by Andy Puddicombe, and he tells a lot of personal stories of his days as a Buddhist monk. Puddicombe is a very engaging writer, and his stories teach concepts of mindfulness in a very memorable way. The full title of the original book was “Get Some Headspace: How Mindfulness Can Change Your Life in Ten Minutes a Day”. The new edition uses the same subtitle, but repeating the full title in this Headspace book review would take way too much space. “The Headspace Guide to Meditation and Mindfulness” by Andy Puddicombe has many similarities with the Headspace guided meditation app. The basic 10-minute guided meditation session, Take10, is the same. Some of the theories, examples and specific techniques are also repeated in both platforms. So, if you’re already using the Headspace meditation app, is the the Headspace book worth reading? Yes, absolutely! Most importantly, “The Headspace Guide to Meditation and Mindfulness” explains the reasons behind the exercises more thoroughly than the app. The Headspace book gave me a deeper understanding of the Headspace technique. It also cleared some misconceptions I still had about meditation. Before reading the Headspace book I had already used the Headspace app for a year. My motivation had slightly diminished, but the Headspace book revived my interest meditation. Reading the book made me more excited about meditation than ever before! Who Is “The Headspace Guide to Meditation and Mindfulness” Aimed For? Andy Puddicombe has made the “The Headspace Guide to Meditation and Mindfulness” very approachable for all readers, no matter their level of experience. In fact, “The Headspace Guide…” became the book I’d now recommend for anyone who’d like to learn meditation and mindfulness for the first time. The Headspace book presents its ideas in a light and easily understandable way. At the same time, “The Headspace Guide to Meditation and Mindfulness” should have just enough content and entertainment for experienced meditators. In this sense, I prefer the Headspace book to “Full Catastrophe Living” by Jon Kabat-Zinn, one of the most famous mindfulness teachers and researchers in the world. I’ve completed Kabat-Zinn’s 8-week Mindfulness-based stress reduction (MBSR) program, and I think it’s great. Still, I believe you need to be extremely committed to make it through the 700+ pages of his book “Full Catastrophe Living”. While Jon Kabat-Zinn goes through all aspects of life in a great detail, Andy Puddicombe takes a different approach. Puddicombe keeps his focus more strictly on mindfulness and meditation. Instead of telling readers what to do with their lives, Puddicombe doesn’t give too exact orders. He just asks the readers to be mindful and see where that leads. “The Headspace Guide to Meditation and Mindfulness” has only 220 pages, but the amount of content feels just about right. Thinking how to illustrate this Headspace book review was a very interesting task. I really like “The Headspace Guide to Meditation and Mindfulness” by Andy Puddicombe. The presentation is excellent, the meditation technique is good and the stories are very memorable. Despite all this, I have a few issues with the book”. As I mentioned before in the beginning of this Headspace book review, “The Headspace Guide…” is just “Get Some Headspace” wrapped in a new cover. The original book from 2011 featured free download links for audio files of different meditation exercises. These free download links are still present in the e-book, but they don’t work anymore. Instead, the audio files have been moved to the Headspace app – which costs almost 100 US$ per year (or less if you use a discount). This shift to the Headspace app makes the Headspace book feel slightly outdated. Fortunately the practices are still included in the book in written form. Then there’s the classic problem with self-help books. It’s easy to read a book and be inspired for a while, but how long does the effect last? For maintaing a daily practice, I think the Headspace app works better than the book alone. Andy Puddicombe wrote “The Headspace Guide to Meditation and Mindfulness” (originally “Get Some Headspace”) before the release of the Headspace app. Although the book and the mobile app share a lot of content, I’d still recommend the Headspace book for people who already use the Headspace app. Just like the mobile app, the Headspace book teaches meditation in an easily understandable and secular way. This makes it a recommendable read for people who don’t know much about mindfulness and meditation. At the same time, the book should have enough content for more experienced meditators. The e-book version of “The Headspace Guide to Meditation and Mindfulness” is unfortunately a little outdated. The original “Get Some Headspace” book featured free download links to audio files of the written exercises, but these links don’t work anymore. I’ve used the Headspace app for a long time, but I still found the “The Headspace Guide to Meditation and Mindfulness” useful. I heavily recommend the book for anyone interested in meditation and mindfulness. Final note: “The Headspace Guide to Meditation and Mindfulness” is not the only Headspace book written by Andy Puddicombe. The series also includes “The Headspace Guide to Mindful Eating” (previously “The Headspace Diet”) and “The Headspace Guide to a Mindful Pregnancy“. However, I have no intention of reviewing those books any time soon. UPDATE 1/2/2018: Out of curiosity, I’ve now added affiliate links to this post. 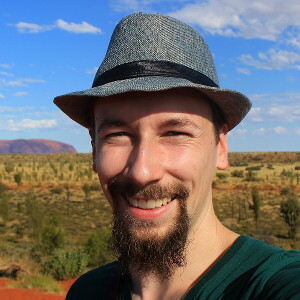 If you make Amazon book purchases through the links in this article, I will get a small commission that I’ll use to fund my trip around the world. I added these links long after writing this review, and they haven’t affected my opinion about “The Headspace Guide to Meditation and Mindfulness” in any way. I have bad eyes because of the Diabetes. I read with a magnifying glass. No offense, I don’t read self help books, because I read the ultimate book, The Bible! It has food for the soul! I was wondering if they had audiobooks? A few of my friends like reading this books. They seem to help them and i’m glad! It’s a tough world out there, despite all of its natural beauty and we need all the help we can get! TY for sharing! 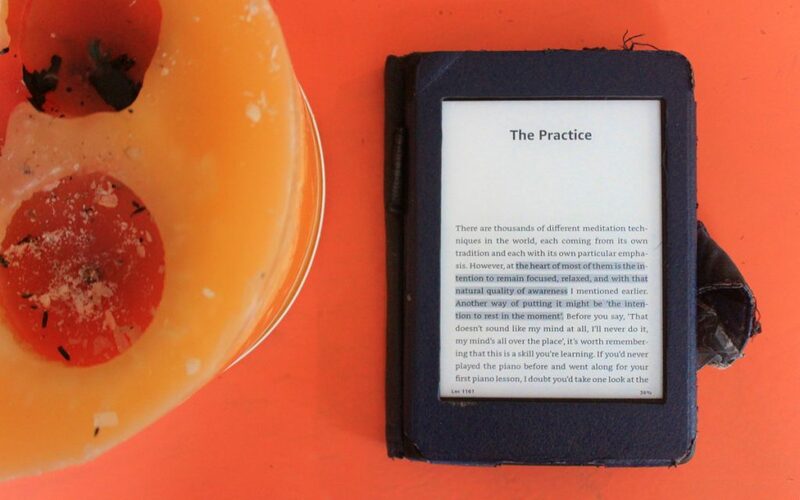 I use the Amazon Kindle Paperwhite e-reader, which lets you enlarge the text of the e-books. 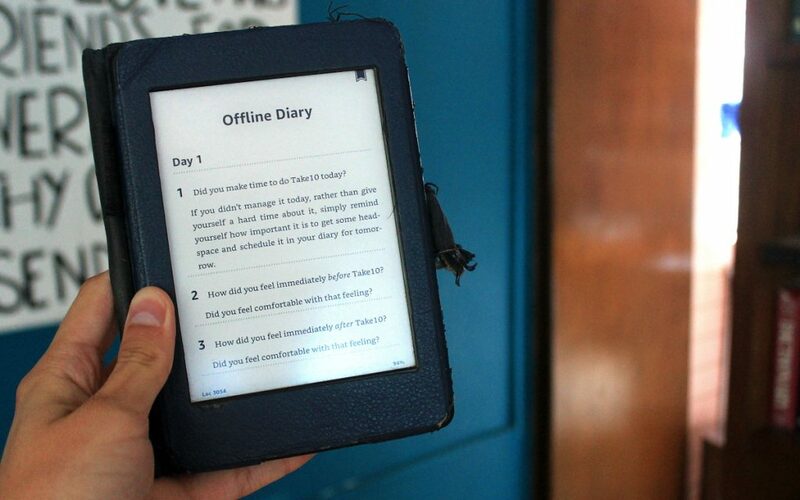 I don’t know if you’ve ever tried one, but an e-reader might let you read without a magnifying glass!